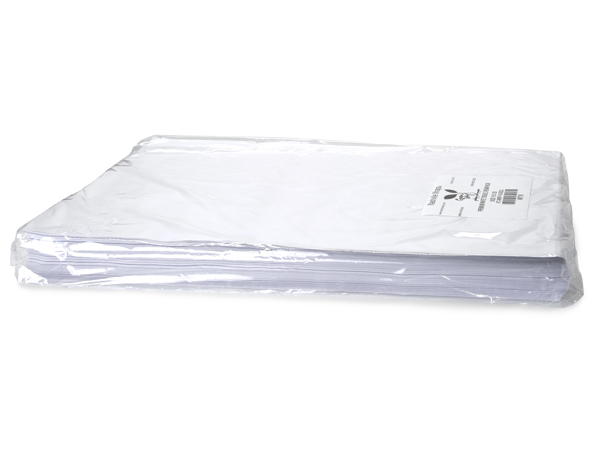 Premium White Tissue Paper is packed flat ~ 960 sheets per package. Sheets are 18x27". #1 deluxe tissue is 90% Recycled. Green Way ® Eco-Friendly Packaging. Made in the USA. Premium White Tissue Paper is Top Quality #1 White MF. Made in the USA. Ultra 87 Grade White. Contains 90% recycled fiber and ph neutral fibers. Reams are available in 960 sheets per pack or bulk cartons of 5 packs.